Growing herbs can be addictive. You begin with one or two small plants in a window and end up with an entire herb garden. 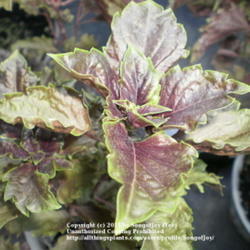 It's fun and relatively easy to grow them, and you just might reap a bountiful harvest. Here are some ideas for what to do with all those wonderful herbs. 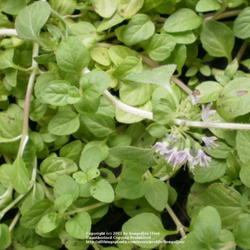 Many herbs are neither cold-hardy nor perennial. 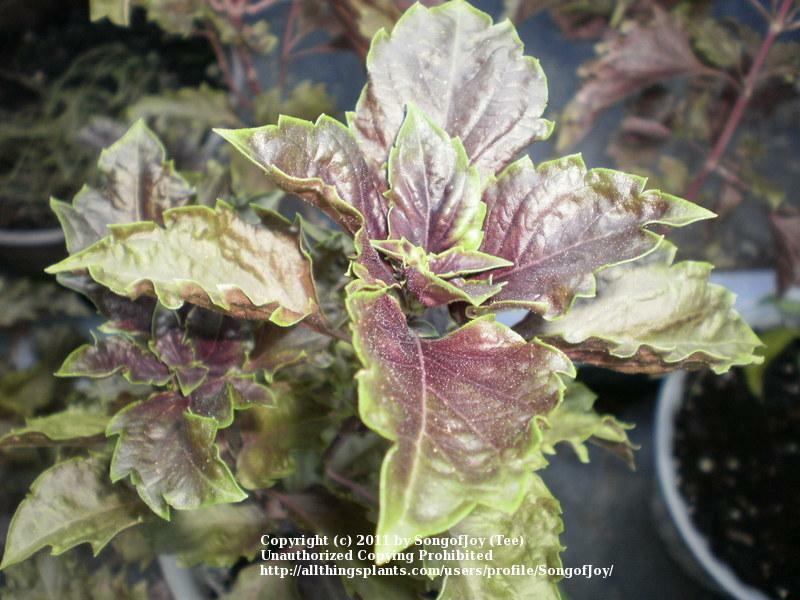 For those of us with frost and freeze dates on our calendars, the time comes in the fall when we must decide what to do with our plants. Besides using fresh or dried culinary herbs in cooking, here are some other ways to utilize a bountiful harvest of herbs. A simple herbal bath can be made by combining an equal amount of lavender flowers, rose petals, and Epsom salts. Add a handful to the bath or make a strong "tea" out of the ingredients and add to the water. To make an herbal milk bath, place a handful of chamomile flowers and a handful of jasmine flowers in a small pot of warm milk to steep for a few hours. Add to the bathwater. Other favorite herbs can be used as well. For a case of dry skin, itches, bug bites or heat rash, combine 1/4 cup of lavender flowers, 1/2 cup oatmeal, and 1/2 cup cornstarch in a muslin bag and place in a tub of warm water. Use the bag as a washcloth and don't use soap or rinse off. Other herbs and plants touted for their itch-relieving properties include catnip, comfrey, lemon balm, mugwort, chickweed, and jewelweed. A refreshing facial mask can be made by combining 1/4 cup of sweet avocado oil with 1 tablespoon of rosemary leaves. Combine the two ingredients in a lidded jar and let stand in the sun for a day. Strain before using. An herbal clay mask can be made by pouring one cup of boiling water over one tablespoon each of lemongrass and rubbed sage to make an infusion. Simmer in a pan (avoid using aluminum pans and utensils when processing herbs) for one minute, turn off heat, stir, and cover. Steep for 10-15 minutes. Strain and reserve the liquid. In a bowl, combine a teaspoon of honey and a teaspoon of yogurt with a teaspoon of French clay powder. Add 1 teaspoon of the herbal infusion to the clay mixture, stirring well. If too thick, add more infusion; if too runny, add more clay powder. Smooth over face, let dry, and rinse off with warm water. Potpourri may be either wet or dry. Here I describe the basic 4-step process for making a dry potpourri. 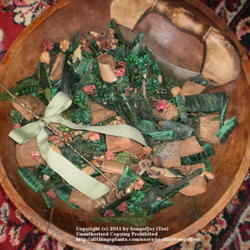 You will need a mixing bowl, herbs, fixative(s), essential oil(s) and glass jars for aging and storing the potpourri. The basic steps are as follows: Combine dry ingredients in a bowl; add fixatives and mix gently; add essential oil, drop by drop, until satisfied with the aroma and mix again. Store in a glass jar in a cool, dry, dark place for at least two weeks to age the potpourri mixture. Some popular choices for herbs to use in potpourri are lavender, lemon balm, lemongrass, bayberry, licorice root, purple basil, sweet woodruff, feverfew, hyssop, and mint. Other things that are frequently used are orange peel, lemon peel, rose petals, hibiscus flowers, allspice, star anise, lime, sandalwood, pine cones, large seed pods, and dried berries. A fixative is an aromatic ingredient that blends the scents of the potpourri together and will also hold volatile essential oils, thus keeping the smell from fading. Common fixatives are orris root (a dried root of one of several species of iris), angelica root, calamus root, myrrh gum, benzoin gum, oak moss and vanilla bean. Essential oils are used to enhance the scent and may be any fragrance you like. It is helpful to choose essential oils that are similar to your potpourri ingredients. For example, use a citrus essential oil such as orange or lemon for a potpourri featuring citrusy and spicey herbs. Treat yourself to the scent of herbs to lull you to sleep by making a sleep pillow. Combine several cups of herbs with a powdered fixative such as orris root and place in a covered glass jar for a few weeks to blend and set the scent. Make a small pillowcase out of your favorite material leaving one side unsewn. Wrap the herbs in cheesecloth or cotton. Stuff the pillow and insert the herbs down into the stuffing. Sew up the remaining open end of the pillowcase. Lavender is perhaps the most commonly used "sleep" herb. 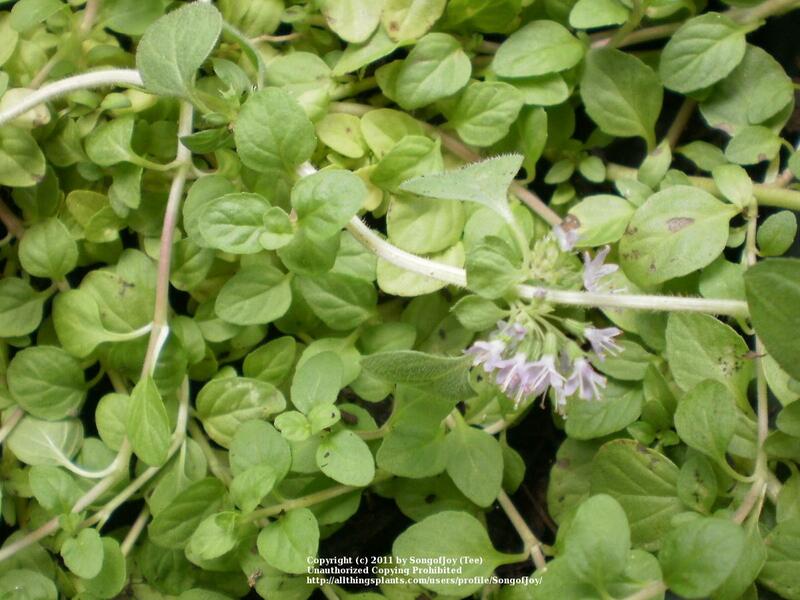 Others include chamomile, lemon balm, lemon verbena, rosemary, sweet bay, valerian root, and hyssop (agastache). Soporific means tending to induce drowsiness or sleep. To make a soporific spray, steep a tablespoon of herbs in a cup of boiling water for 15-30 minutes. Strain, cool, and place in a spray bottle. Store in the refrigerator. Spritz your bedroom with a couple of sprays just before bedtime. Spray damp linens before putting into the clothes dryer to infuse them with the soothing scent. Into one cup of boiling water, place 2 tablespoons of any of the following (singly or in combination): parsley, peppermint, rose petals and flowers, rosemary leaf, yarrow, sage, or nettle leaves. Steep for 20 minutes and strain; combine with 1/2 cup of apple cider vinegar and place in a spray bottle. Store in the refrigerator. Sew a tube out of terry cloth or use a small pillowcase. Fill loosely with equal amounts of lavender flowers and flax seed. Sew or tie closed. The pack can be heated in a microwave for 15-30 seconds or until it is as warm as can be comfortably tolerated. Place around neck. Caution should be taken to make certain the pack is not hot enough to burn the skin. 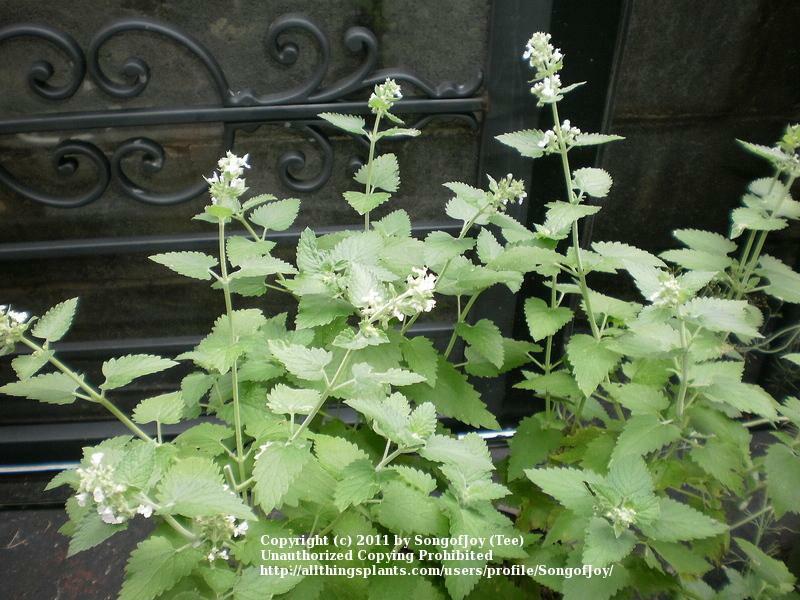 Sprinkle pennyroyal, catnip or peppermint in cabinets to repel ants. Use bay leaves to keep pests out of grains and grain products. Dried mullein was once used in barns to keep away mice and is safe to use in the pantry. 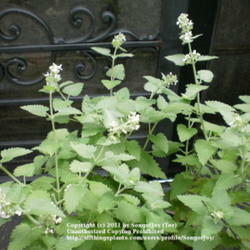 Some herbs are favorite host plants for various species of butterflies. 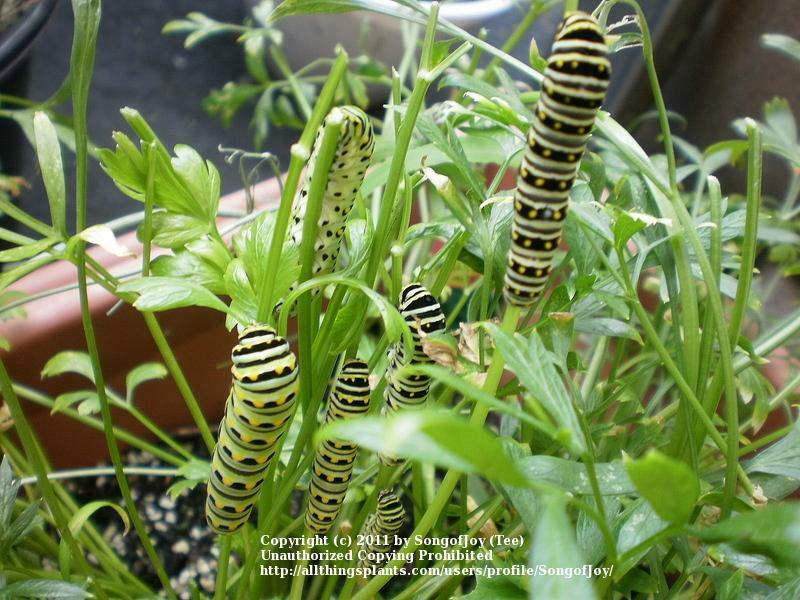 The butterflies lay their eggs in the plants and the resultant caterpillers then feed on the herbs. 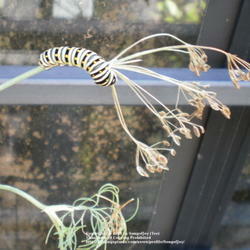 At my house, dill and parsley are devoured late summer and fall by caterpillars of the Black Swallowtail. 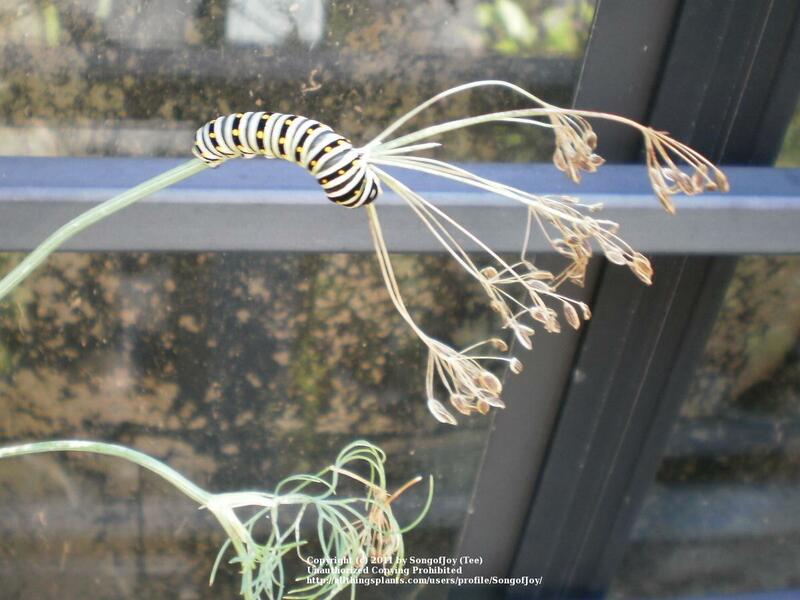 Fennel is another herb of choice for Black Swallowtails. 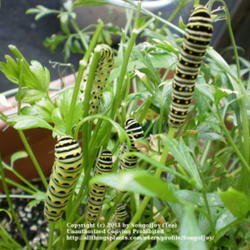 Raising herbs and other plants in order to h elp butterflies thrive is both beneficial and rewarding. Check out this website for lots of good information on which herbs your butterflies prefer. Always popular, gift baskets let you share some of your herbal bounty with friends and family. The combinations are endless. A few suggestions for types of baskets include an Herbal Tea Basket lined with a large cloth napkin, a Bedtime Basket lined with a fancy pillowcase, and a Bath Basket made from a large cosmetic tote lined with a fluffy washcloth. 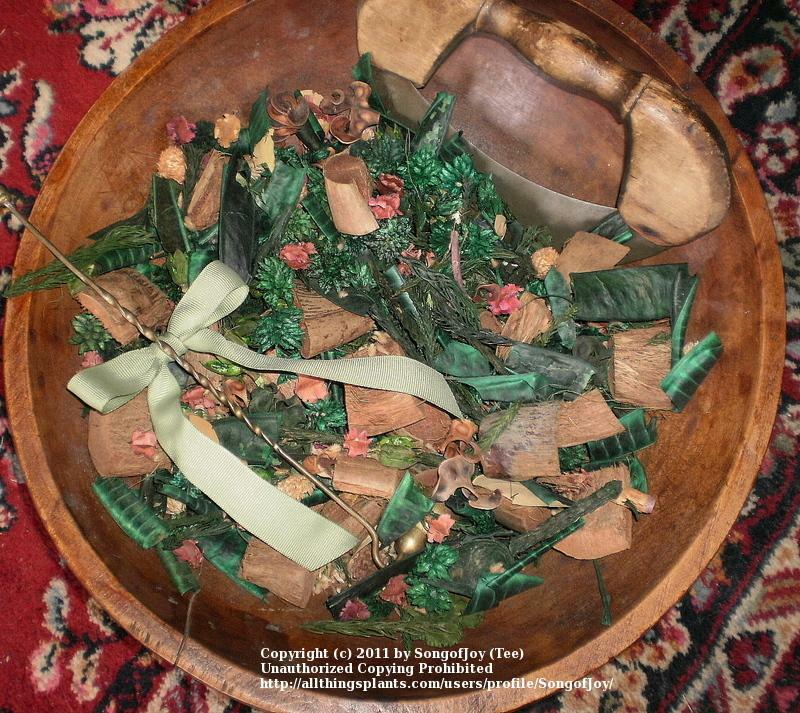 The contents of herbal gift baskets are limited only by your imagination. These are just a few of the many fun and fascinating ways to use your bounty of herbs, fresh and dried. Once you try a few of the ideas, I can almost guarantee that you'll be hooked on herbs.